I came across the Josephsbrau Prost while in a Trader Joe’s in Chicago. From what I could find about Josephsbrau, it seems to be a beer specifically made for Trader Joe’s by the Gordon Biersch Brewing Company. Located in San Jose, Gordon Biersch also brews beers for Costco and was originally opened as a chain brewery restaurant in Palo Alto, though the restaurants have since been sold to CraftWorks Restaurants and Breweries. 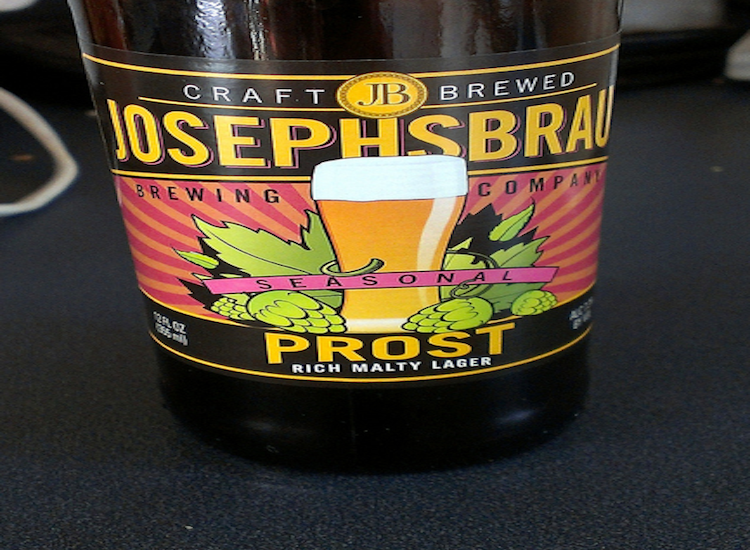 Josephsbrau Prost is brewed in the German helles bock style, which in simplified terms means it is a strong lager. Along with the maibock style, the helles bock is a paler, more hopped version of other bock substyles, usually brewed for spring festivals. The smell is caramel, roasted nuts and, interestingly, a strange, faint hint of bubble gum. It pours a nice copper color with a short-lived head. As far as taste goes, the beer begins with a sweet maltiness. Toward the end, the hops come through and you get a faint bitter finish. Josephsbrau Prost has a medium body with moderate carbonation that makes it smooth and easily drinkable. Overall, this beer is good but not great. Personally, as far as the bock style goes I am a fan of Rogue’s Dead Guy Ale (the “Ale” being a bit of a misnomer). Still, for the price — about $6 for a six pack — it’s a definite upgrade over your standard style Yuengling Lagers. ♦ Can the Indiana Pacers Stop LeBron’s Post Game?